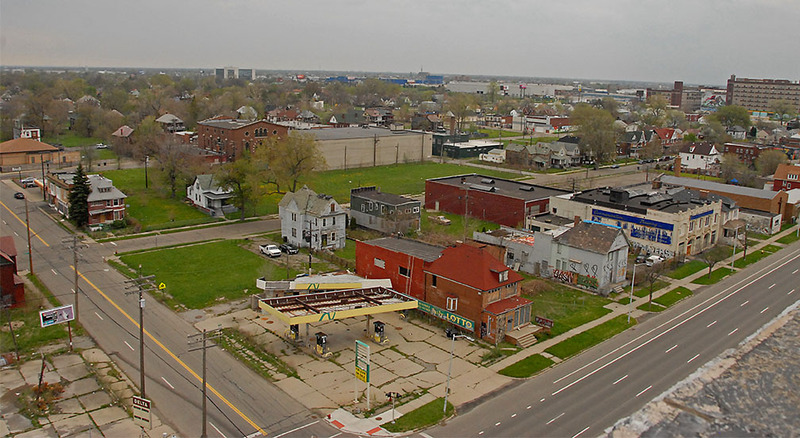 In 1891 Detroit annexed 6 square miles of Hamtramck Township, called the North End, east of Woodward and north of Grand Boulevard. This area is now pocked with empty buildings and open land. 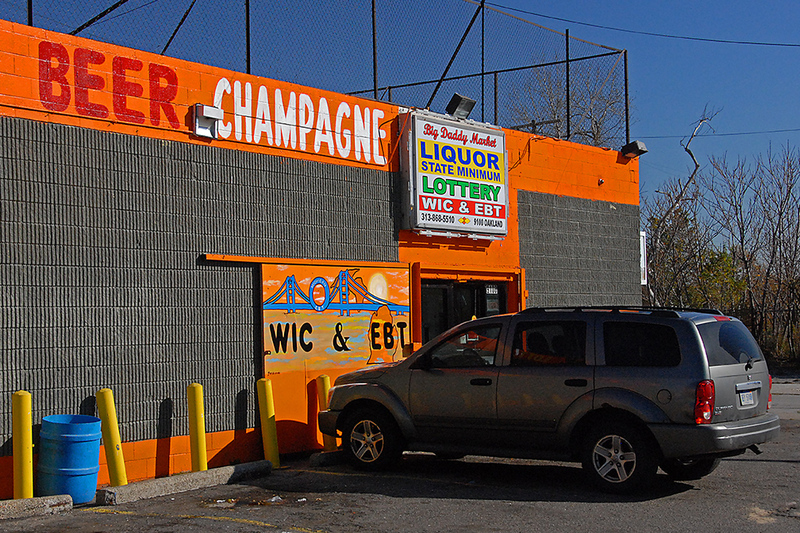 Scattered throughout the community are small churches, each struggling to retain congregations, and an ever-present supply of champagne. 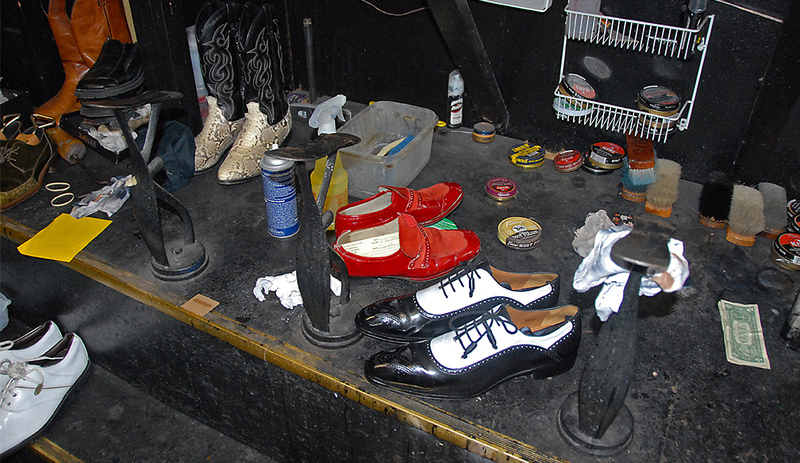 One of the few surviving businesses is Red’s Jazz Shoe Shine Parlor and Repair. 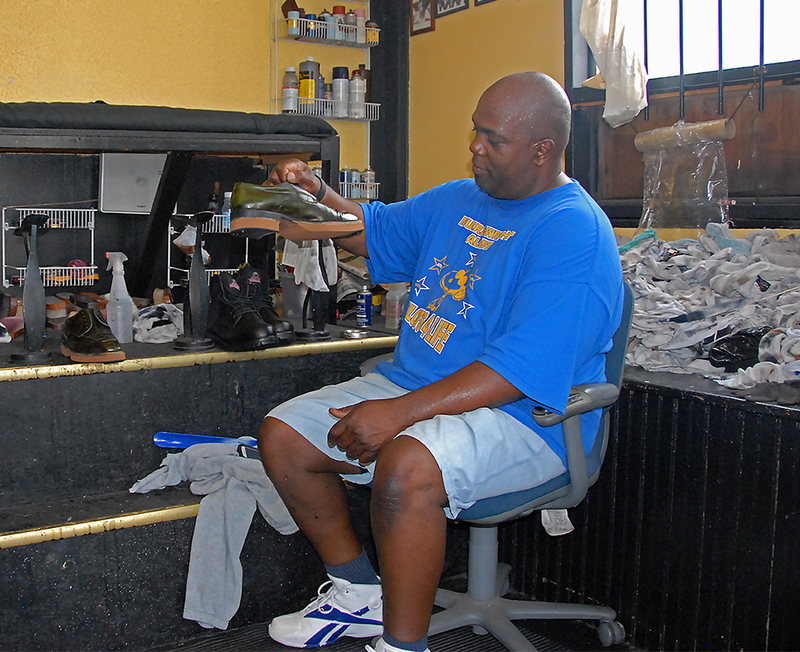 Founded in 1950 by Willie D. Thomas, the shop is a fixture on Oakland Avenue. 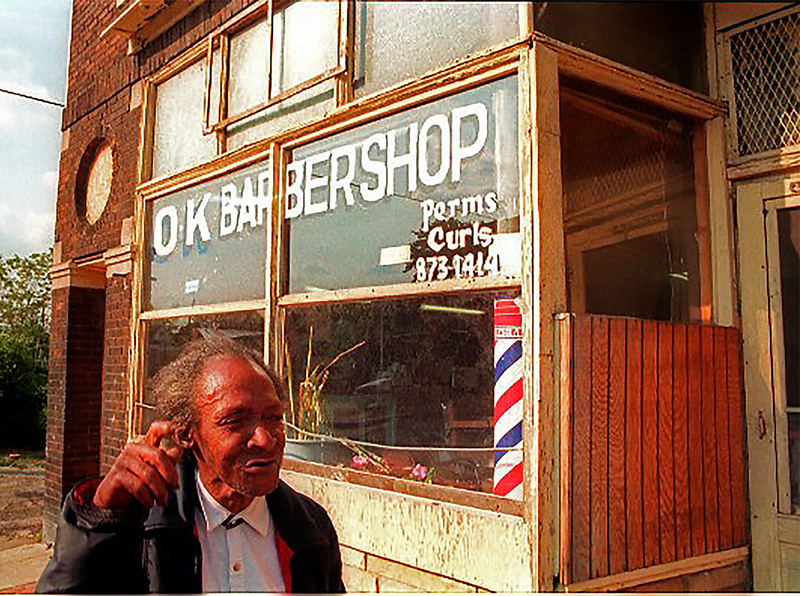 The shop originally shared the first floor of a two-story commercial building in the 9100 block with the OK Barbershop. 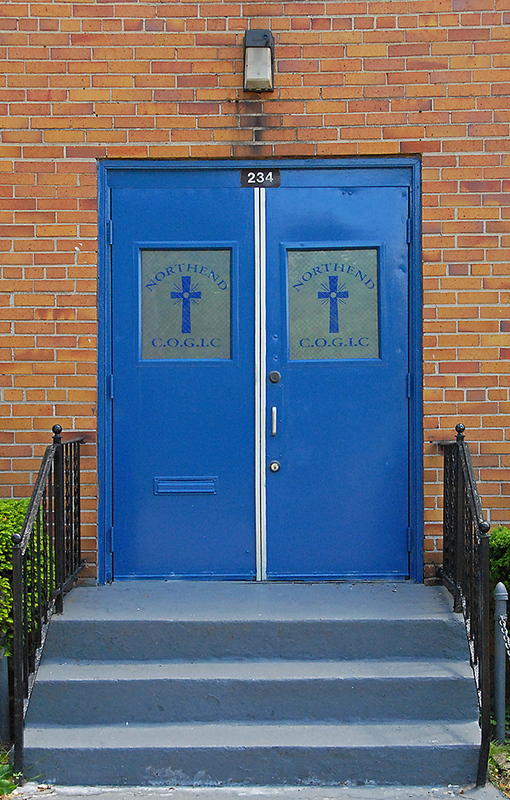 (c. 1990). 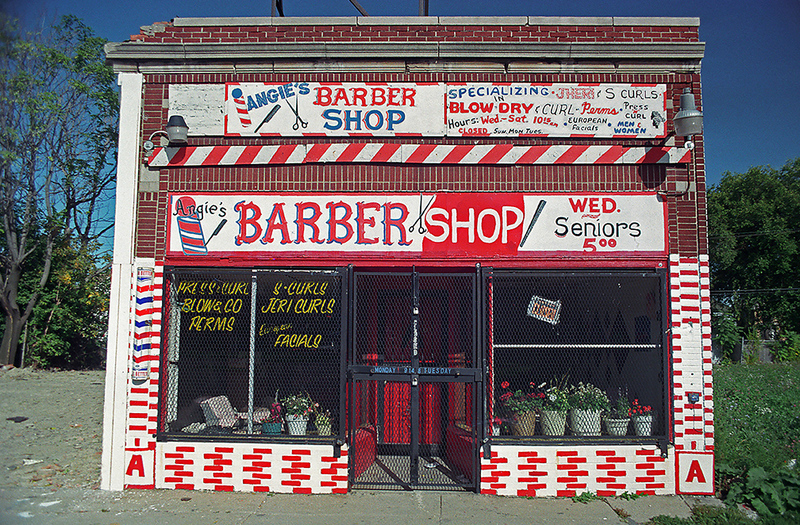 A hot Summer day, the barber and wife were closing shop, she placed a roll of cash in her knee high stocking. 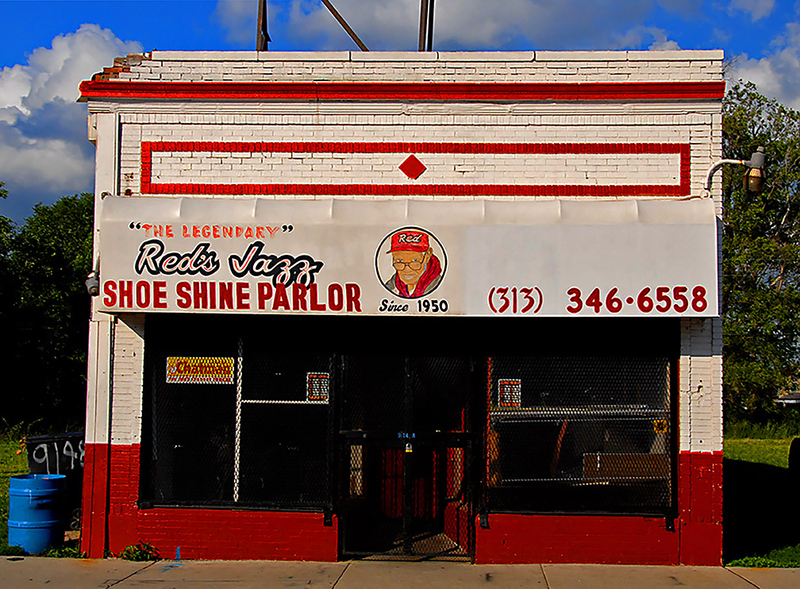 Red’s Jazz Shoe Shine now sits in the turret corner entrance at 8348 Oakland Avenue. Formerly Reflections Hair Salon, the building is partially empty. My most recent visit took place at the end of December 2017 during zero-degree weather. 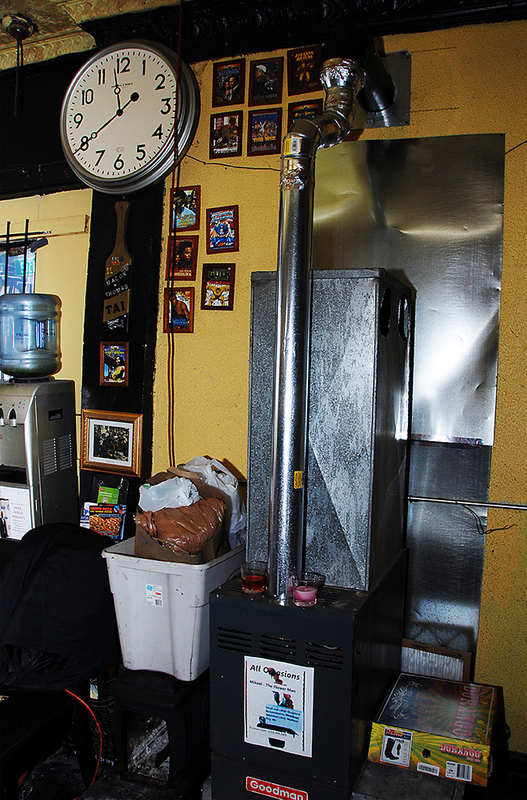 The tin-ceilinged shop was hot, with a small furnace surrounded by metal radiating waves of heat. Red’s nephew David Boggins continues the craft. 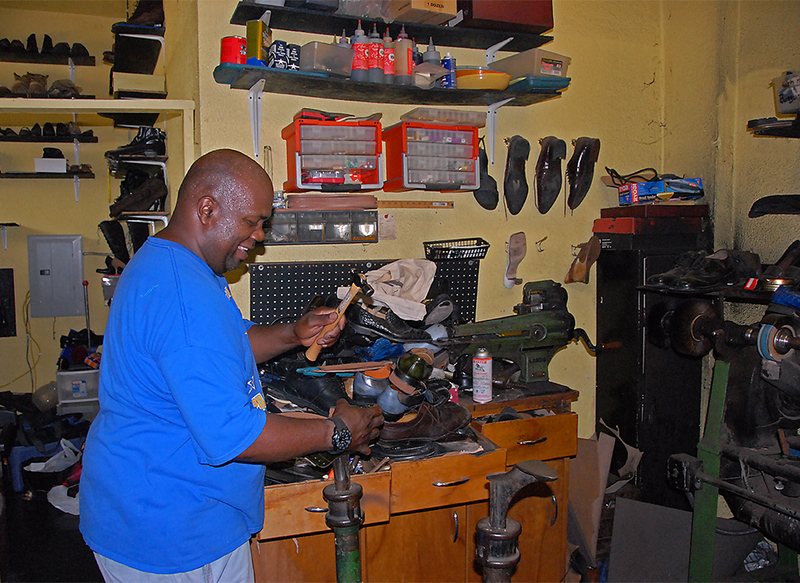 During my visit he worked on shoes, and the small shop smelled of polishes, leathers and finished shoes ready for customer pick up. 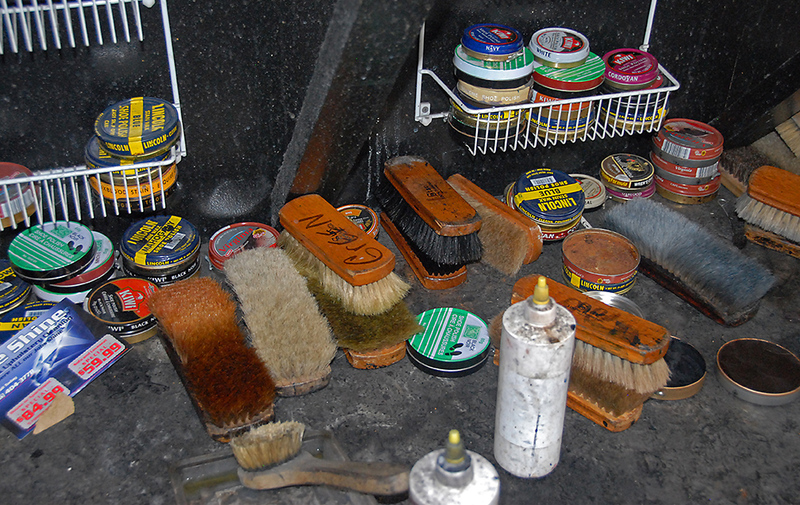 The tools of the trade are scattered along the bench footing: color-specific brushes, creams, stains, and waxes. 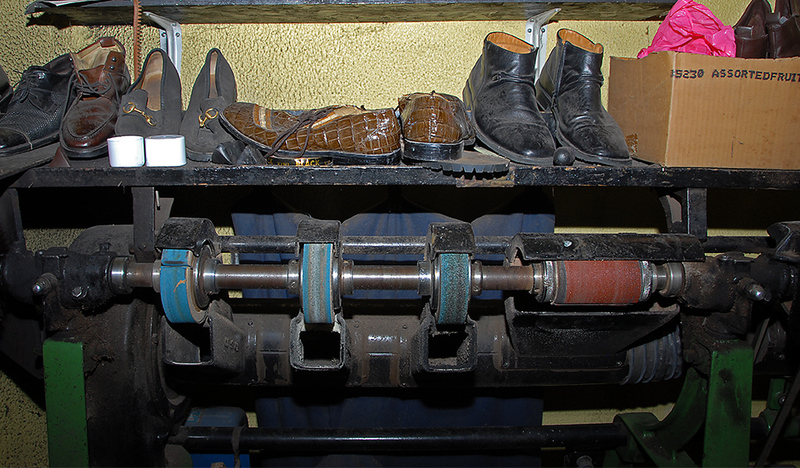 All services are clearly displayed over the shoe repair area. 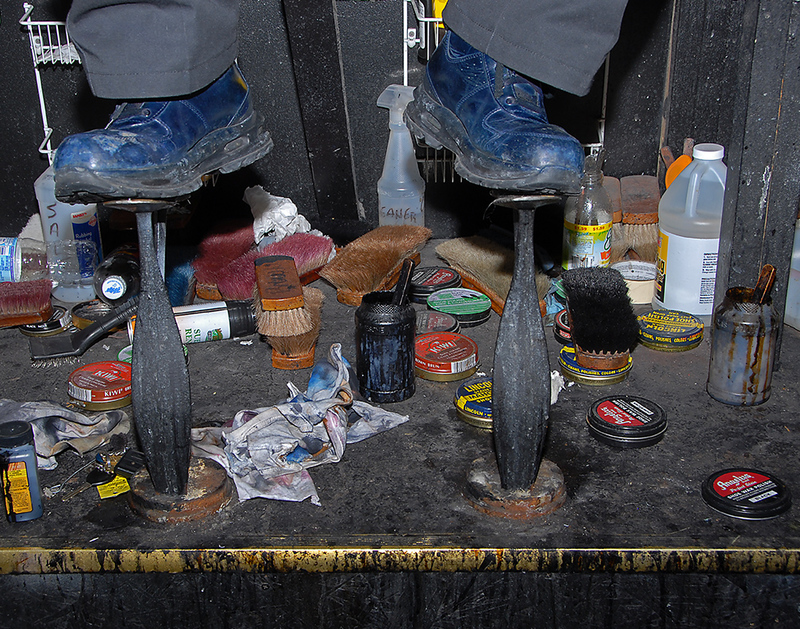 The elevated shoe-shine bench awaits customers who still enjoy “on foot” personal shoe service. 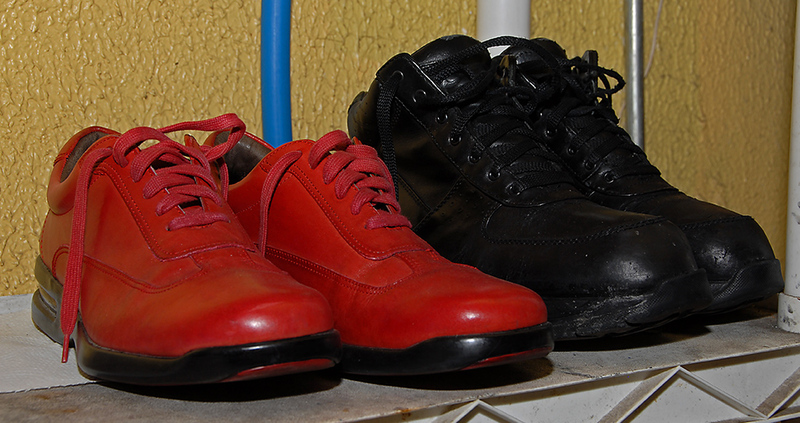 There is a strong visual skill to keeping shoes in shape and looking sharp. The future is uncertain. 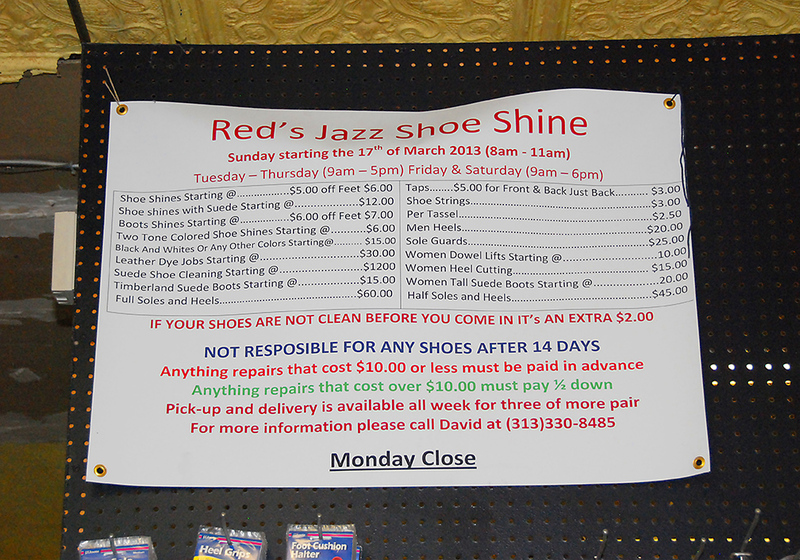 David may move the business back into Red’s previous location. 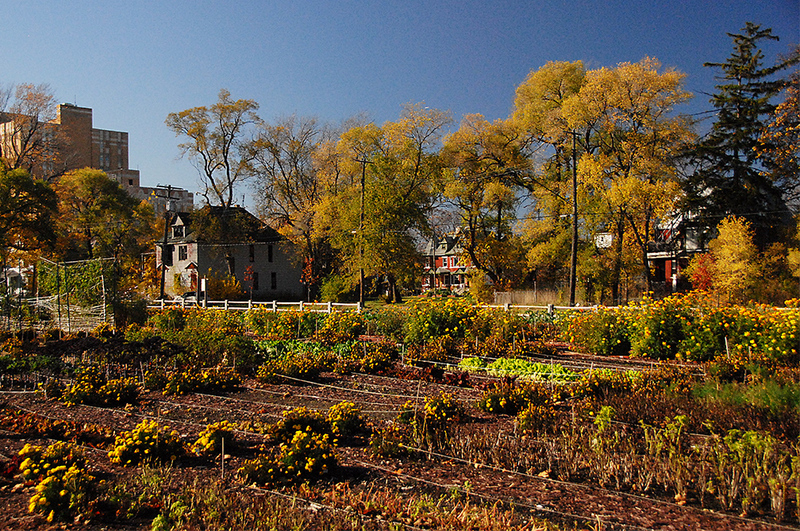 “A purchase price is on the table.” The property is owned by a local church which sponsors garden activities. The deal remains to be finalized. There is some good news about the North End. 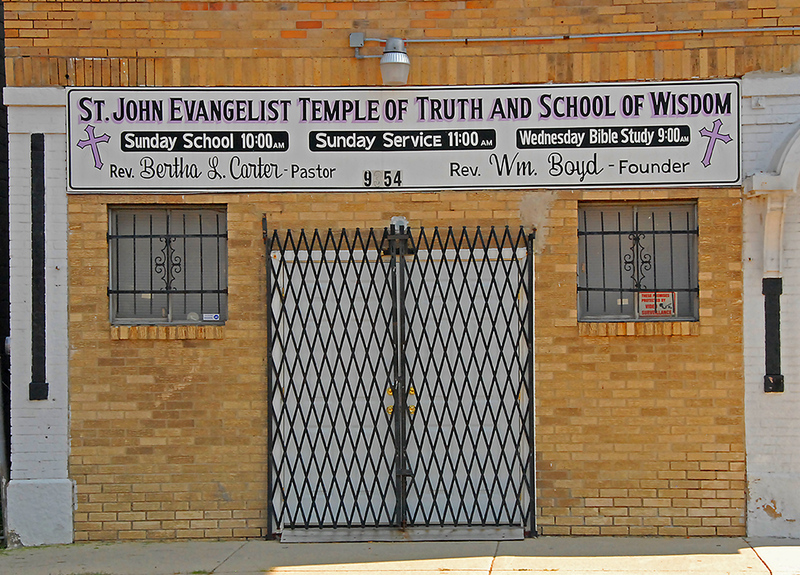 The Skillman Foundation has made a major investment in the area and has been promoting good schools and good neighborhoods for children. 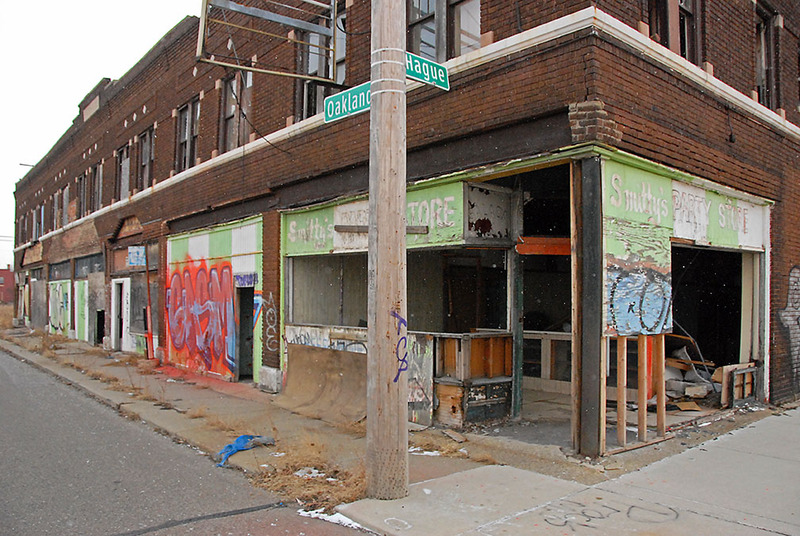 One of the newest small-scale urban redevelopment efforts is the American Riad project (www:americanriad.org). A Riad is a Moroccan-style courtyard filled with public art and gardens. 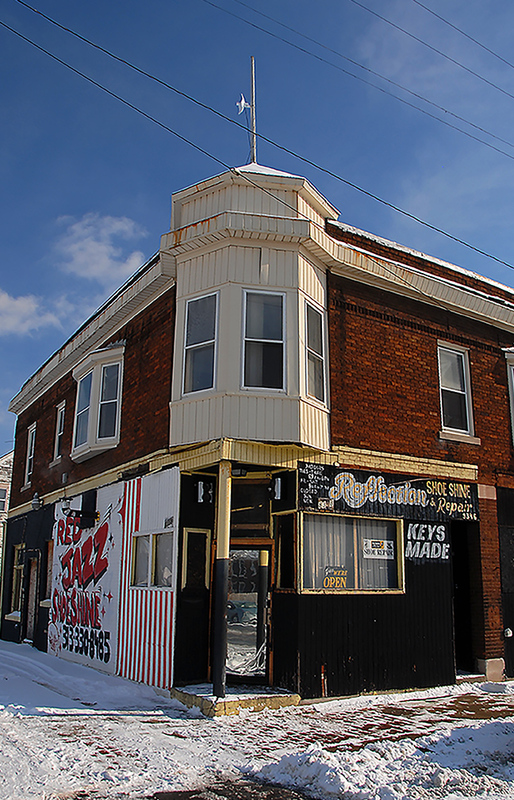 The site sits next to Red’s on Euclid St. Additional activities include the ambitious O.N.E. 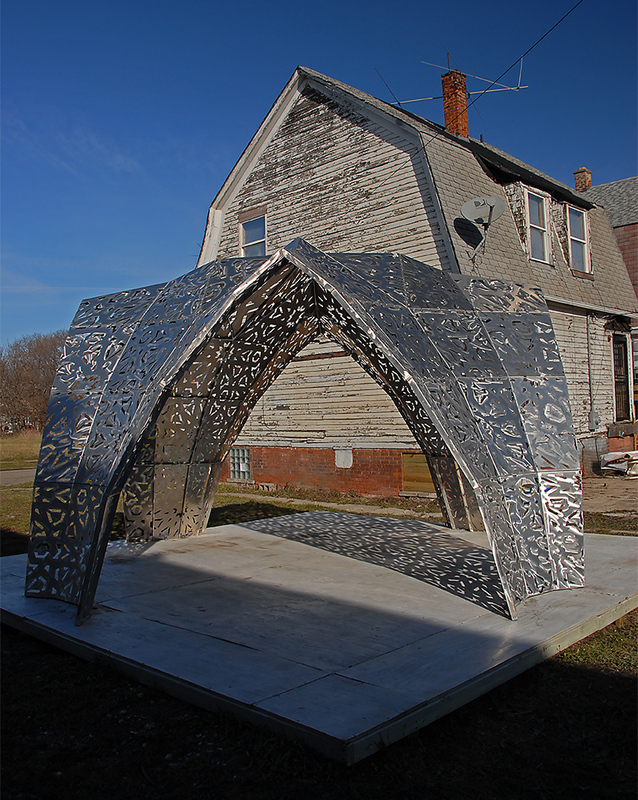 Mile Project (www.onemile.us), supporting cultural and socio-economic activity in the North End. 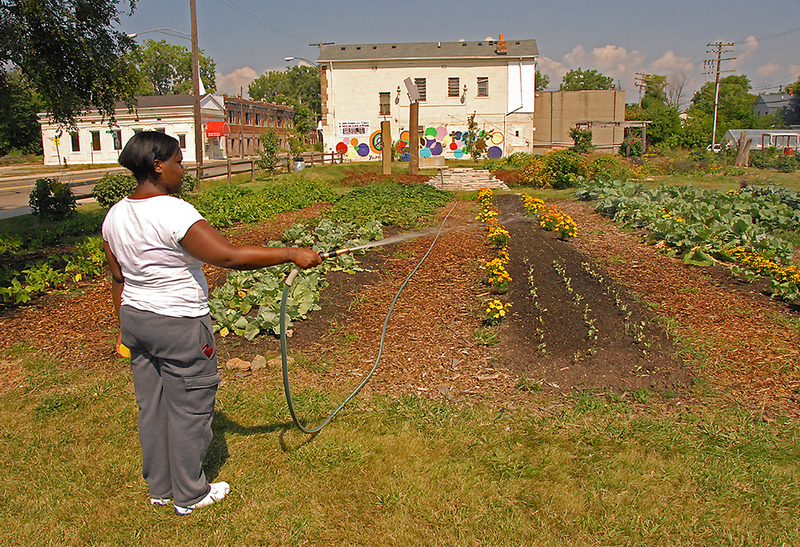 The impressive Oakland Avenue Garden is expanding seasonal efforts and public involvement. 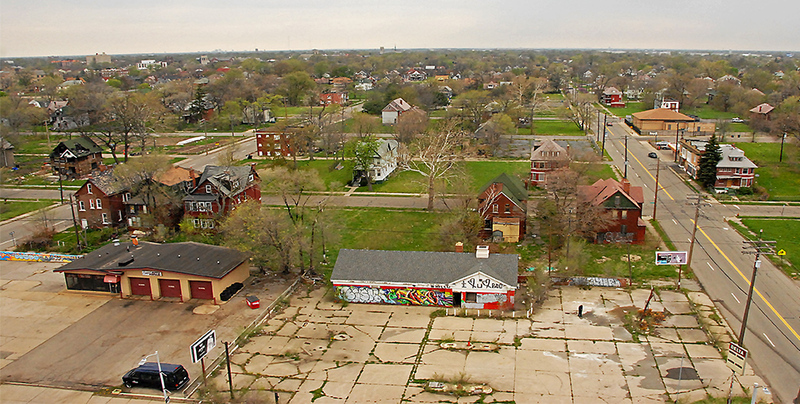 Thank you, thank you for your continued effort toward recognition and preservation of the Detroit we once knew. My friend, Monica Donnell, gave me a copy of your book, it sits out in my living room here in Wisconsin and is rarely missed by my guests.